Creating and building a strong brand requires hard work and investment. No success is achieved without hard work – namely, your time, your energy and your hard-earned cash. If you are a small business, having focus and direction in building your brand is especially important to avoid wasting limited resources. You can start creating, developing or improving your brand strategy by focusing on these three core elements of a brand: Promise, Positioning, and Performance. These elements are referred to as the Three Brand Ps. A brand’s success depends on how well these elements are defined, planned and executed. 1. Brand Promise: What’s your unique offering and who is it for? A brand’s promise is more than a tagline. A tagline is an efficient way to communicate the core message you want to emphasise. For example, BMW’s ‘the ultimate driving machine’ tagline highlights the product and the product experience. Besides these benefits, a BMW customer is also promised excellent customer service, great post-purchase care and the satisfaction of his/her self-expression needs. Your promise should underpin what makes your company unique (e.g. your values, vision, history, and capabilities) and the benefits your target audience is seeking. Your promise should also improve in line with the changing trends and consumer needs. Identifying your promise that is unique and relevant to the target audience requires hard work – research, reflecting, and thinking from your part. After identifying what to say and who to say it to, you can create your positioning strategy and channel all your resources in the right direction to build your brand. 2. Brand Positioning: How will you communicate your brand promise? All of these elements, as a whole, should help the audience to place your brand in a certain category in their mind (e.g. low-cost or premium). Think about BMW again. Their cars, price, showrooms and their marketing and promotions signal that the BMW brand belongs in the premium end of the spectrum. The role of your brand is to support and reinforce your positioning. The idea is that if you want your brand to have a certain image and convey the promise, you create your brand identity elements accordingly, such as the logo, website, tagline and tone of voice. In other words, every brand touchpoint that can be experienced with the five senses should communicate and support your claim. As a small business, if your positioning strategy is shaped by the brand promise, you will make better use of your limited resources. This is because you’d know what the brand message should be and how it should be communicated with your target audience. 3. 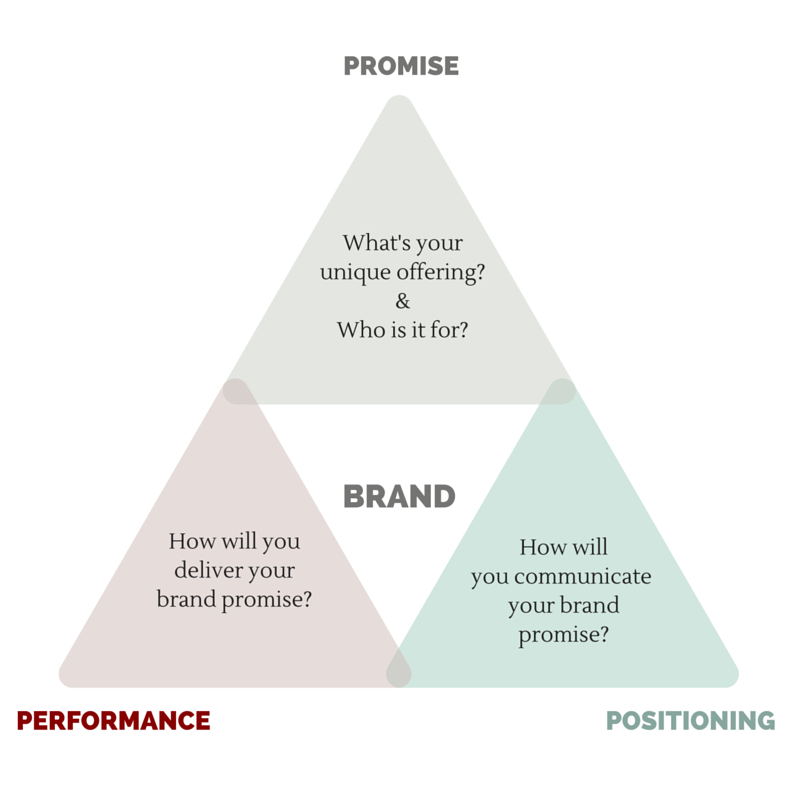 Brand Performance: How will you deliver your brand promise? This is about delivering the promise made. Your promise and your positioning will shape the expectations of your target audience. And their expectations must be met throughout the customer journey – before, during and after their purchase. Their experience of your brand starts way before making an enquiry or buying from you (e.g. word of mouth and the look of your website). If their evaluation is a positive one, they are likely to buy from you. You need to make sure that all business processes and functions are designed and operate as a whole to deliver the service or the product promised. After their purchase, you still need to continue reinforcing this message that buying from you was the right choice. Over time, a consistent and reliable brand performance builds trust, and trust leads to brand preference and advocacy. 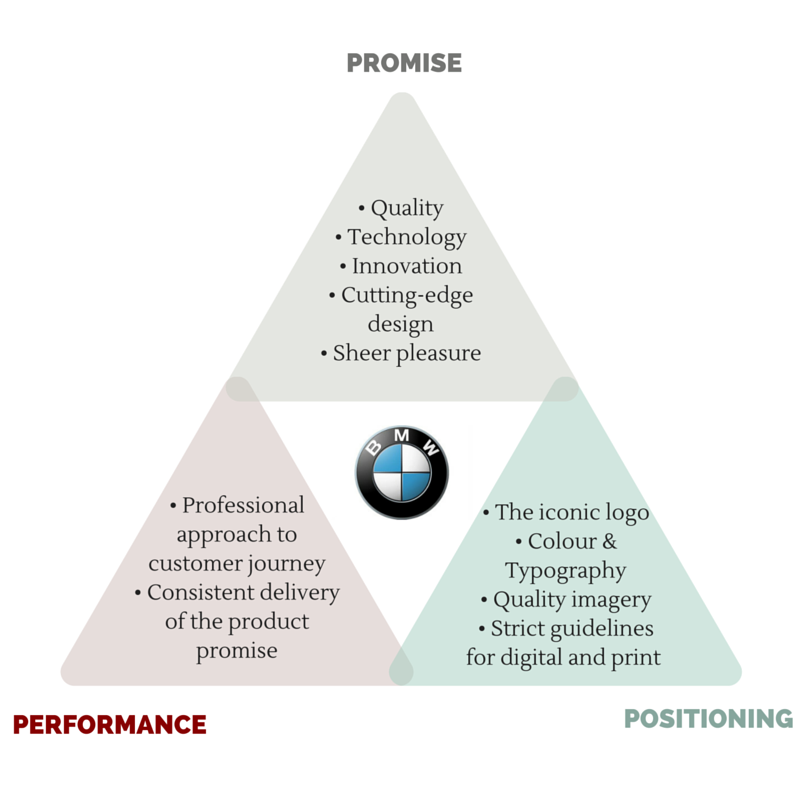 In the case of BMW, their success lies in the consistent delivery and the continuous improvement of their promise. It earned them the title: ‘the most reputable brand in 2015′ by Marketing Magazine. My next article will focus on how to create a Unique and Relevant Brand Promise. If you’d like to receive our regular updates, you can sign up to our newsletter below. This entry was posted in Branding and tagged brand, performance, positioning, promise, small business branding, three ps.